What Does Alzheimer’s Have to Do With Adoption? Sometimes I wonder if knowing my medical history is a blessing or a curse. Watching my dad go through Alzheimer’s disease has made me wonder if I will go that path as well. A new report in Annals of Neurology links Alzheimer’s with rosacea, a skin condition which I’ve had for several years. I’m at the point where I understand that this Onion article about trying to hide normal memory issues (so my kids won’t put me in a home) is both really funny and poignantly close to the bone. I have many things for which to be grateful: preventive health care, good medical insurance, loving family and friends. I can’t Iive my life in fear. I am seizing the day (the moment!) with intention and joy, as much as possible. “After the ecstasy, the laundry,” says Buddhist writer Jack Kornfield. There’s plenty of mundane to go around in the midst of enlightenment. About that enlightenment: I have some sense for my genetic possibilities. It gives me options to prepare, to inform my doctor, and to make decisions as best I can. That reality gives me a tremendous advantage over way too many adopted people, who are denied their own medical histories. Though I never knew her, I enjoyed the writing of Susan Perry (a mom of two and grandmother of six, a retired teacher in New Jersey) who wrote a thoughtful blog called Family Ties. She was adopted as a baby. She died just over two years ago from melanoma, less than a year after connecting with her biological sisters and finally learning about her own genetic history. It was too late for her to engage in preventive care. While it’s wretched consolation, her daughters and her grandchildren now have more medical knowledge about their own histories as well. Susan was a strong advocate for adoptee rights, and her daughter continues to post on her blog, providing valuable insights. As Von of the highly regarded blog The Life of Von rightly pointed out to me, adoptees don’t “deserve” to have access to their medical histories, for themselves and for their children and grandchildren. It is their right. It just seems so obvious, but we still–in 2016–limit the access of human beings to their own information. It’s an astonishing failure of civil rights. There was never any legislated guarantee of privacy given to birth parents who placed their children for adoption. Today, some 20 U.S. states allow some form of access by adoptees to their own birth certificates. Several state laws have restrictions, including veto power by birth parents. Many adoptees use Internet search services and other means to find their information. 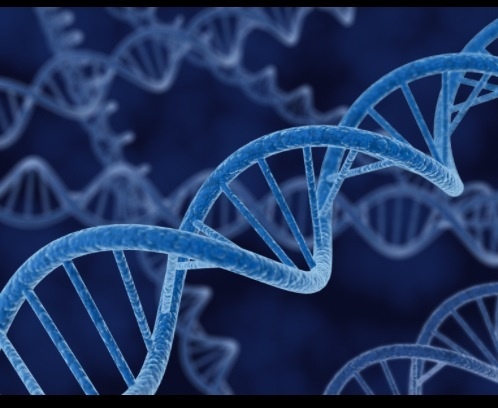 Some use DNA testing which can help locate cousins, siblings, and sometimes parents. It is possible to get medical/genetic history from DNA tests, but it is far better (and a basic human right) to be provided with the correct information about one’s actual history. Of course, it’s not just knowledge about physical health that is vital, but mental health as well. Knowing the history of depression (or schizophrenia, anxiety, alcoholism, addictions) in one’s family, for example, can be life-saving. Being adopted should not mean being denied access to life-saving information. Yes, I find it sobering to know my medical history sometimes. I don’t take it lightly, nor for granted, especially knowing that thousands and thousands of people don’t have the option to know, to take proactive steps to care for themselves, and to pass the information on to their healthcare providers and their family. A quick PSA about 2 Ethiopian-related medical issues. One is physiological, and one is cultural. For adoptive parents of Ethiopian children, this information ought to come from agencies prior to placement of the children. Parents and others may want to share this information with their pediatricians, dentists, and other medical caregivers. The first is about codeine. When children have tonsils or adenoids removed, they are often given codeine after surgery for pain relief. Ethiopians are more likely to be “ultra-rapid metabolizers” of codeine than other ethnic groups. This means that if the codeine is given to them in the wrong dosage, there can be serious harm done. “These ultra-rapid metabolizers are more likely to have higher than normal amounts of morphine in their blood after taking codeine. High levels of morphine can result in breathing difficulty, which may be fatal. Here is more information, which you may want to print out and give to your doctor and dentist. The second is about the uvula, that bit of flesh that hangs down in the back of the throat. I’ve known a number of Ethiopian adoptees, particularly those adopted after infancy and toddlerhood, who have no uvula. Their uvulas may have been removed: here’s further information. There may or may not be any subsequent complications; those adoptees that I know have had none, but the pediatrician was surprised. This information may be worth sharing with your pediatrician.